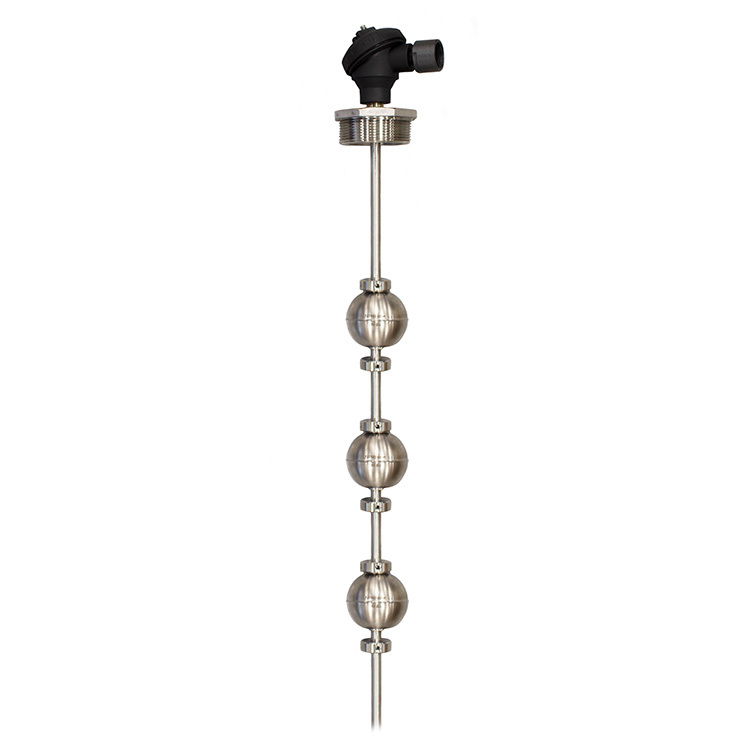 The FL series multi-point level switch has up to seven switch points custom configured along a single mount for linear level measurement in tight spaces. Everything on this sensor is made-to-order from switch configurations to float types and materials. It's hard to beat 7 switch points custom configured to your application from a single sensor. The FL Series multi-point level switch comes made-to-order. From switch configurations to float types and materials, the FL Series switch adjusts to meet your specifications. 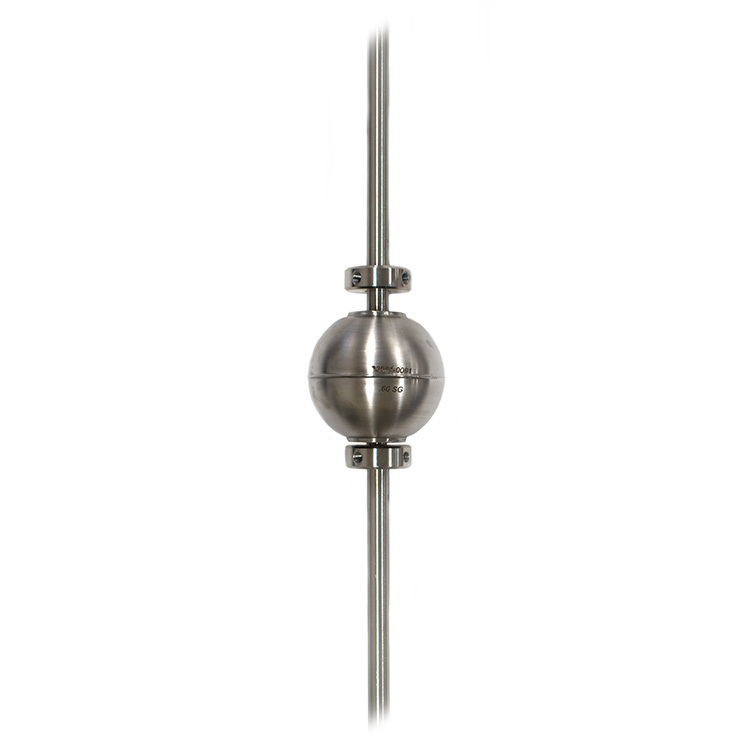 Unlike suspended float switches that require room to operate, this vertical float switch works along a probe, or stem, for linear level measurement in a tight space. The FL Series level switch offers up to 7 switch points for increased control and savings. Monitor 7 different levels with a single sensor, and a single mount.